This is an 11 week Bible Reading plan that will take your family through every book of the Bible with suggested Scriptures, discussion questions & activities for each day’s reading! Perfect for summer Bible reading! Hey there! This is an 11 week Bible reading plan that is PERFECT for the summer. It is a bit longer than my normal Bible Reading Plans — eleven weeks/6 days a week. The reason for this is that I wanted to take the kids through every book of the Bible this summer! There is a suggested reading for each day (older kids can do the first reading, younger kids can do the one in parenthesis), as well as discussion questions and activities. When there are two activities listed, the first one is aimed towards younger children and the second one is aimed to older children/teens. You can use this plan as a family, or print it off and let your kids read on their own! Note: The Old Testament plan is pretty much in chronological order, while the New Testament goes in the order of the books of the Bible. I hope this plan helps your family grow closer to Jesus this summer! We are going to start our Bible reading at the very beginning – both of the Bible and of all history! Let’s take a look at what happened when God created man and woman! To Discuss: What was special about the man and woman that God created? What did God say about His creation? What does that mean about you? What does God think about you? Discuss how God made each person in the family exactly as He wanted them to be! Some He made girls, some He made boys . . . He knew exactly what He was doing when He made you! 1. Have your child lie down on a large piece of paper (or tape several pieces of paper together to get the right size). Trace around his body. Then have him fill in the body to make the picture look like himself Discuss what makes him special as you are doing this. Say: God made you special – He made you exactly the way He wanted you to be. Spend time today thanking God for how He made you. 2. Think about each person in your family. What words would you use to describe each person? Take sticky-notes and write one word on each sticky note to describe each person in the family. Stick these notes on the person you are describing (Make sure you are being nice!!!) Have fun reading off the notes and thanking God for how He made each person in your family unique and special! Some time during the book of Genesis, lived a man named Job. Job was a man who loved God with all his heart. God allowed Satan to test Job by putting him through some horrible situations. Job remained faithful to God through it all. Let’s take a look at how this testing of Job began. To Discuss: Why do you think God allowed Job to be tested by Satan? Has anything ever happened to you that seemed to make no sense? How do you respond? Sometimes bad things happen to us for no apparent reason. We need to remember, however, that God loves us and will be with us when we go through these hard times – even if we never understand why these things happen. One of the ways that Satan hurt Job was by causing a great wind to come and kill all his sons and daughters. Make a “great wind” in a bottle. The rest of Genesis takes us through the flood, the beginning of God’s chosen people (the Israelites), and the moving of these people into Egypt where they eventually ended up as slaves. The people cried out to be delivered – God heard them and used his servant, Moses, to lead them out of slavery. Let’s take a look at what happened when the Israelites were escaping from Egypt and how God showed His power in a mighty way. To Discuss: How did God show His power in these verses? How do you think the Israelites felt when they walked through the sea? How would you have felt? What do these verses teach you about God? Discuss how God can do anything – He can even control nature! Sometimes it takes a step of faith on our part, though! We have to be willing to go where God wants us to go and do what God wants us to do! 1. Make blue gelatin with your child. As you are making it, have him try to separate it (like the sea was separated). Discuss how this is an impossible task for us, but NOTHING is impossible for God! Once the gelatin hardens, take it out and separate it so that the gelatin makes “walls” of water. Have fun eating it together – and talking about today’s Bible reading. 2. Is there anything in your life right now that seems “impossible”? Draw a picture of what you think it looked like when the sea was divided. Write some of your “impossible” things on the picture of the water. Spend time praying for each of these things. Remember, NOTHING is impossible with God! Today we are in the book of Leviticus. This book has a lot of the laws that the Israelites had to follow. It can be difficult to read all these laws and see what the people had to do just to be forgiven for their sins! Reading through Leviticus should make us thankful that we have Jesus! He was the perfect sacrifice for our sins – once and for all! No longer do we have to follow all these Old Testament Laws! To Discuss: Why do you think the sacrifice had to be “without defect”? Do you think it was possible to have a sacrifice that was completely without defect? Why or why not? Why did the people have to place their hands on the head of this animal? How did this symbolize what Jesus was going to do when he died on the cross? Write down some of the sins that you have committed on a piece of paper. Talk about the process of how the people had to be forgiven for their sins back in the Old Testament. Then take a match and burn the paper (or make a fire and throw all the papers in the fire). Talk about how Jesus makes it possible for us to have our sins forgiven today. He was the ultimate sacrifice – a true lamb without defect! In the book of Numbers, the people have safely escaped from Egypt and are now getting ready to enter the promised land. They are given a chance to go in and take over this land . . . and Moses sends some spies to check it out first. Let’s see what happens next. To Discuss: What was the response of the spies to the people who lived in the land? Who were the only ones who showed faith? What happened as a result? What does this tell you about the people at this time? Even though the people had seen God do impossible things many, many times before this, they still doubted Him! We serve the SAME God!! Do you ever doubt Him? What situations make it difficult for you to have faith? Use toothpicks, grapes and other pieces of fruit (like bananas or apples) to make your own “giant” people. Talk about how God is bigger than any giant in our lives while you eat your newly created snack. To Read: Deuteronomy 6:1-9 (Deuteronomy 6:5). To Discuss: Why do you think it was important for the people to write these commands everywhere and tell them to everyone? Is this still important today? How would you apply these verses to your life today? 1. Help your child make a heart out of red construction paper. Inside the heart, have him draw or write ways that he can show God that he loves Him. 2. How can you show God you love Him with all your heart, soul, and might? Make a list of the different ways and then put that list into practice! Finally the wandering in the wilderness is at an end. All of the older generation (except Joshua and Caleb) have died and the kids are now adults and they are ready to take over the Promised Land! Joshua tells us the story of how they do this. Let’s read some of it today. To Discuss: How did the people take over the promised land? What is amazing about this? What does this tell you about God? Are you willing to obey God – even when the instructions seem a bit strange? 1. Act this story out with your child! Build a wall out of bricks and have fun marching around it seven times and then blowing horns and shouting. Talk about how God can do anything! 2. Act this out with food! Use graham crackers and frosting to make a wall. Use E.L. Fudge crackers as people and bugles as the trumpets. Blow the trumpets, shout, and eat the wall! The book of Judges takes us through a cycle of what happens after Joshua and Caleb die. For awhile, the people serve God . . . but eventually they forget all about Him. Because of their disobedience, God allows them to be conquered by other nations, where they eventually call out to God and he sends a deliverer (called a “Judge”) to rescue them. They then follow God . . . as long as the Judge is alive. But when the Judge dies, they soon forget about God and the cycle continues. Let’s take a look at one of the stories of deliverance from this book. To Discuss: How did God show His power in these verses? What do you think Gideon was feeling/thinking during all of this? How would you have felt? 1. Use a paper towel tube and aluminum foil to help your child make a “trumpet”. Have him walk through the house shouting “A sword for the Lord and for Gideon”. Talk about the power of God! 2. Make your own “comic book” style depiction of this story. Share it with the rest of your family – and then tell them the part of this story that stands out to you the most. In the middle of the period of the Judges comes a beautiful story of love and redemption. A young woman named Ruth (who is not even an Israelite) marries a Jewish man. The man dies, along with his brother and father, leaving Ruth and her mother-in-law alone. Ruth could have gone back to her own people, but she decides to stay with her mother-in-law and serve the one true God. Eventually, God leads Ruth to someone who can “redeem her”, she marries him, and she ends up in the line of Jesus Christ! Let’s read the part where Ruth’s “kinsman redeemer” makes the commitment to take care of Ruth. To Discuss: How is this story a picture of what Jesus does for us? What is significant about Ruth being in the line of Christ? What does this story tell you about God’s love? 1. A baby brought hope and joy to Naomi. Babies often bring joy to people! Look at baby pictures of your child with him and talk about the joy that he brought to your life when he entered your family. 2. Did you notice the way they sealed their deal? They exchanged sandals! Play a game with sandals today! Take a shoe and pass it around your family while playing music. When the music stops, whoever is holding the shoe says one thing that they thank God for! After Ruth came a judge named Samuel. Samuel was the last judge of Israel, and he was obedient to God from a very young age! When he was three, he went and lived in the temple, where he served God for the rest of his life. Let’s take a look at what happened the first time God spoke to Samuel. To Read: 1 Samuel 3:1-21 (1 Samuel 3:5-9). To Discuss: Explain how God first spoke to Samuel. What did Samuel think was happening? How did Samuel finally respond? 1. Act out this story with your child. He will love pretending to be Samuel when you pretend to be God (and vice-versa)! 2. When God finally gave His message to Samuel, it wasn’t a very fun message! How do you think Samuel felt about this message? Do you think there are things that God wants you to say/do today that might be difficult? Spend time praying for courage to always do and say what God wants you to! At the end of 1 Samuel, the people are no longer satisfied with a Judge. Instead, they want a King. God tells Samuel not to take it personally, that they are not rejecting Samuel but rather God, and Samuel anoints the first King of Israel – a man by the name of Saul. Saul starts off good, but doesn’t stay that way, and Samuel anoints the second king – a young shepherd boy named David. David is described as “a man after God’s own heart” and, while he makes mistakes, his devotion for God is strong. God promises David that an everlasting King will come from his family – one who will reign forever. This King is King Jesus! Let’s read about when God makes that very special promise to David. To Discuss: What is the significance of what God is telling David in these verses? How do you think David felt when he received this promise? God told David that this King will have a kingdom that will never end – what does that mean? Are you part of that kingdom today? 1. This passage is about a special King – King Jesus! Help your child make a crown while talking about King Jesus! 2. God reminded David about his humble beginnings as a shepherd. Isn’t it great to know that God can use anyone to carry out His plans? Spend time today asking God to use YOU to carry out His plans, too! The story of Israel is also contained in 1 & 2 Chronicles. Some of the events in these book happen at the same time as the events in 1 & 2 Kings. Today, we are going to look at some of the mighty men who served King David as found in the book of 1 Chronicles. To Discuss: David surrounded himself with people who helped him and supported him! Who do you surround yourself with? Why is it important to have people around you who will help you? 1. David had a lot of “Mighty Men”. These people had great courage! Play with your child, pretending to be David and his mighty men. Talk about some of the things these mighty men may have done. Have even more fun with this by using mini-figures to represent the mighty men, or making your own “army” out of “army guys” or “dolls”. 2. Choose one of the “mighty men” from today’s story and write your own story about how this person served David. David loved to write songs! In fact, he wrote a whole song book – what we call the Book of Psalms! Psalms is full of song lyrics – some happy, some sad, some full of praise, some full of questions. Let’s read one of these songs today. To Discuss: How do you feel when you read this Psalm? How can you apply this Psalm to your life? 1. Help your child make a mountain out of playdough (or a flour and water mixture, or whatever else you have on hand). Have even more fun by mixing baking soda and vinegar together at the top of the mountain to make a “volcano”. Talk with your child about how God made the mountains and volcanoes (and everything else) and about how we can trust Him to help us when things are scary. 2. What kinds of things scare you? Write your own “Psalm”, sharing how you can trust God – even when things are scary and seemingly out of control. After David died, his son, Solomon, became king. Solomon was very wise – the wisest man who ever lived! He, along with a few other people, put some of his wise words down in a book called Proverbs. Let’s read some of those words today. To Discuss: There are a lot of great tidbits of wisdom in these verses! Discuss your favorites. 1. The Lord directs our steps! Take your child outside and have him paint with his feet! Paint the bottom of his feet and let him run around on your sidewalk, making a “path” with his steps. Then talk about what it means that the Lord “directs our steps”. You might also want to play a game of follow the leader, stressing the importance of following God wherever He leads. 2. Are you a “planner”? Do you have your plans all figured out? Spend time today asking God to be in charge of your life and to show you what His plans for your life are. Ecclesiastes is also a book of wisdom, possibly written by Solomon. This book can be depressing to read, as the writer talks about how everything is meaningless without God. The main point of this book can be summarized in the verses we are going to read today – remember God, because, in the end, nothing else matters except your relationship with Him. Let’s read those verses now. To Discuss: Why is it important to remember your creator in the days of your youth? How can having a relationship with God when you are young impact your entire life? 1. Talk with your child about how he is not too young to serve God! Help him come up with some ways that he can serve God today! Choose one of the things from his list and help him do that! 2. Make a poster with the first verse from today’s reading on it. Hang that poster in your room and read it every day! While Solomon was very wise, he also had some weaknesses. His biggest weakness was his love for women. He had many, many wives! There is a book in the Bible dedicated to one of his wives – it is a love story that celebrates the beauty of marriage. We are going to read a small part of it today – a warning about being careful in our relationships. 1. Talk with your child about your relationship with your spouse. (If you are not married, you can talk about a special relationship in the past or about what you pray for him in his future relationship). This would be a fun time to go through your wedding album with your child and talk about that special day. End by praying for your child’s future spouse. 2. Take some time today to make a list of qualities that your future spouse must have (for example, he must be a Christian and put God first). Pray over this list. Then, when you are dating in the future, remember those things on this list that you are not willing to change (like must be a Christian). Spend time praying for your future spouse. After Solomon dies, the nation of Israel goes downhill. The nation is divided into two parts – a northern kingdom and a southern kingdom. The northern kingdom has only bad kings, while the southern kingdom only has a few good kings. In the middle of these bad kings comes a prophet by the name of Elijah. Elijah follows God and is not afraid to stand for Him no matter what. One of these times comes on top of a mountain. Let’s read about this showdown today. To Discuss: Explain what happened during this showdown. What parts of this story do you like the best? How does God demonstrate His power in this story? 1. Help your child gather rocks, sticks, and pitchers of water. Help him arrange the rocks and sticks in a cake pan to make an altar. Pour water over the top of the whole thing. Try to light it on fire. Talk about why it was difficult and the miracle that happened in today’s story! 2. Elijah had to trust God to answer with fire. Do you trust God to answer your prayers? Take a rock and write the word “Trust” on it. Decorate the rock if you’d like. Keep that rock somewhere to remind you to trust God to answer your prayers. Elijah’s story has an amazing ending! He doesn’t die . . . let’s read about what happens to him and who takes over as God’s prophet. To Discuss: What happened to Elijah? What was Elisha’s response? How do you think Elisha felt watching this? How is this a fitting end to Elijah’s time on earth? Use cheese, pretzels, and whatever other snack foods you have on hand to help your child make a fiery chariot. Have fun eating it together while talking about today’s story. Older kids can have fun making this snack today, too! One of the good kings in the southern kingdom was a man named Hezekiah. Whenever he was faced with challenges, he prayed and asked God for help. Today we are going to read about one of those times. To Discuss: What did Sennacherib threaten? How did Hezekiah respond? How did God answer his prayer? Hezekiah’s first response was to pray. What is your first response? 1. When something scary was happening to Hezekiah, he prayed! Help your child understand that he can pray about scary things, too! Help your child draw a picture of something that scares him . . . and then spend time praying about it together! 2. Make your own prayer journal (find some prayer journal pages here) and write down your prayer requests and answers to prayer. God was not happy with the nation of Israel. Both of the kingdoms were disobeying him and following other gods. God wanted the people to turn back to Him . . . and He sent several prophets to tell the people to repent! We are going to start looking at some of these today . . . and we will start with a very small book called Obadiah. To Discuss: What was the warning here? Is there any hope given in these verses? How would you feel if you were given this warning? Part of these verses say, “As you have done, it will be done to you.” This is similar to the “Golden Rule” in the NewTestament, “Do unto others as you would have them do unto you.” Discuss both of these statements with your child. Then spend some time talking about how you should treat other people. Role play situations where it might be hard to treat people well, and use these situations to show your child how to respond to everything as Jesus would want. Even though the Lord was not happy with His people, He still loved them. He wanted them to turn back to Him, and gave them plenty of opportunities to do so. He also sometimes used these prophets to tell about what would happen in the future . . . in the long-distance future! Let’s look at what He said through the prophet Joel . . . and how that message is also a message to us today! To Discuss: What were the promises in these verses? What are the promises for us today? These verses say that everyone who calls on the name of the Lord will be saved! That means anyone can become a Christian! Spend time today praying for people you know who need Jesus! While all these prophets were being sent to Israel, one prophet from Israel was sent to a foreign nation. This prophet was named Jonah . . . and he did not want to have anything to do with what God was calling him to do. He didn’t like the people of Ninevah, and he had no intention of going there with God’s message. In fact, he went the opposite direction. God worked out His plan, though, causing Jonah to be thrown over the ship and swallowed by a large fish. He was eventually given a second chance, and he shared God’s message with the people of Ninevah (who, unlike the Israelites, immediately repented and followed God!!!) Today, let’s read the beginning of this story. To Discuss: Why did Jonah not want to go to Ninevah? Do you ever not want to do something God wants you to do? What can you do to make sure you always obey God – even when it’s hard? 1. Drape a large blanket over a table and sit under the table with your child. Talk about what it might have been like for Jonah inside the fish. Talk about how it can sometimes be hard to do the right thing, but we need to always do what is right . . . no matter what! End by eating goldfish crackers and watching “Jonah” by Veggie Tales. 2. Sketch a picture of a fish. Inside the fish, make a list of things that God might want you to do that you find difficult. Pray about each item on your list. Amos was a shepherd whom God used to deliver a message of repentance to His people. He was still giving them a chance to turn back to Him. Let’s read some of the message that Amos gave the people. To Discuss: What were some of the ways the Israelites were disobeying God? What did God want the people to do? Does God want the same for us today? How can we seek good and not evil? 1. Hate Evil, love good! Talk to your child about how we should RUN from evil!!! Play a fun game. Make a list of things that are “evil” and things that are “good”. Then say one word at a time. If the word you say is something “evil” your child should run away from you. If it is something “good” your child should run towards you. Have fun with this . . . but be sure to emphasize that we need to stay away from those things that are evil and run towards those things that are good. 2. God wants us to establish justice. There is a lot of injustice in the world. What is one area of injustice that you care a lot about? Do some research on it and then do something to help spread awareness for this issue. Another prophet at this time was a guy named Hosea. While many of the prophets were sent with tough messages about God’s punishment, Hosea was sent with a message of love. Hosea’s message was that God loved His people – even though they were unfaithful to Him. Hosea’s life demonstrated God’s incredible love for His people – as Hosea lived out God’s unfailing love through a relationship with his unfaithful spouse. Hosea showed the people that God was willing to pay a price for the people . . . and, in fact, Jesus would pay that price several years in the future. Let’s take a look at part of Hosea’s message to the people. To Discuss: What is the message to the people in this chapter? How can verse 9 be applied to us today? 1. The righteous will walk in the ways of the Lord. Go for a walk with your child, talking about how important it is to always follow Jesus . . . staying on the right path. 2. Some people will tell you that there is no absolute right or wrong, but we know that is not true. There are things that are right 100% of the time . . . and there are things that are wrong 100% of the time. Ask God to help you know what is right and what is wrong – and to always do the right thing no matter what. Another prophet during this time was Isaiah. Isaiah had a long message for the people . . . one which actually prophesied about Jesus Christ as well! Let’s take a look today at what happened when God called Isaiah to be his prophet. To Discuss: What vision did Isaiah have? How did Isaiah respond to this vision? What did God ask Isaiah? How did Isaiah respond? Are you willing to respond the same way? 1. Help your child write the words “Send me” on a piece of paper and decorate the paper. Then take a picture of your child holding that up in front of him. Print the picture off, frame it, and hang it in his room. Talk with him about what it means to tell God, “Send me”. 2. Do you have a mirror in your room? Write the words “Send me” on the mirror with a marker. Then, every time you look in the mirror, ask God to show you where He wants to send you and to help you do what He wants you to do. To Discuss: According to these verses, what does God desire for us? What does that mean to you? 1. Let’s focus on loving kindness today! Help your child think of something kind that he can do for someone else . . . then help him do it! 2. Make a poster of verse 8. Hang this poster in your room. Remember how Jonah was sent to Ninevah with a message from God? Nahum was also sent to Ninevah . . . about 100 years later. This time, however, the people of Ninevah did not listen – and they were destroyed. Let’s read part of Nahum’s message today. To Discuss: What was Nahum’s message? How does this message relate to us today? 1. The Lord is slow to anger. Talk about what it means to be slow to anger. Play a game with your child: take a paper plate and draw an angry face on one side and a happy face on the other. The angry face reminds us that the Lord is slow to anger (and we should be slow to anger, too). Whenever you show the angry face, your child should walk very slowly. Whenever you show the happy face, your child should run – because we should be QUICK to love! Have your child stand on one side of the yard while you stand on the other. Play red light/green light . . . only using the paper plate (red light = angry face, green light = happy face). 2. Which verses stick out to you the most in this passage? Draw pictures to represent that verse. God sent a lot of prophets to his people! He gave them plenty of warnings! Another one of these prophets was Habakkuk. Habakkuk knew things were going to get bad . . . but he also knew that God would be with him no matter what happened, and he promised to praise God no matter how bad things got. We will see those words in today’s reading. To Discuss: How is the Lord our strength? How does the Lord help us in good times and bad? 1. Take a bunch of newspapers, pillows, or blankets and stuff your child with them to make your child look like he has huge muscles! Take pictures of him posing with big, strong muscles! Then say: It is fun to pretend to be strong . . . but God is stronger than anything or anyone! Isn’t it great to know that God is on our side? 2. Habakkuk said he was going to praise God even though the world around him was falling apart. Do you ever feel like the world around you is falling apart? How can Habakkuk’s words help you during those times? Write your own prayer to God, praising Him even when things are tough. Zephaniah gave another warning to the people . . . but he also told them that there would still be a “remnant” of believers. Even though the kingdoms were going to be conquered, there would still be people who stayed true to God through it all. To Discuss: How does the Lord feel about His remnant? How do you think these words would have been an encouragement to the people who were serving God at this time? How are these words an encouragement to you? 1. These verses say that God rejoices over His people with shouts of joy! Can you imagine God rejoicing over you? Show your child what it might be like for God to “rejoice over him” by holding him in your arms and shouting out all the things you love about your child. Say, “I love you soooo much, but God loves you even more! !” and then end your time together by tickling him! 2. What does it mean to you that “God rejoices over you”? Spend time thinking about the great love that God has for you! Jeremiah was the last prophet before the southern kingdom was taken into captivity. (The northern kingdom had been taken into captivity several years before, but the southern kingdom was still holding on.) God sent Jeremiah to His people with a very unpopular message – and as a result, Jeremiah was treated pretty poorly! Jeremiah never backed down, though, and eventually his message came true and the people were conquered. God did give Jeremiah a promise, though, and that was that the captivity would only last for 70 years. Let’s take a look today at the day God called Jeremiah to be His prophet. To Discuss: When did God have a plan for Jeremiah’s life? What did God tell Jeremiah to do? How did God reassure Jeremiah? Do you ever feel like Jeremiah did? How does God help you during those times? 1. God knew Jeremiah and had a plan for his life before Jeremiah was even born! God loves your child and has a plan for his life, too! If you have copies of your child’s ultrasound pictures, show them to him today and talk about how babies who are inside their mommies are important and loved, too! 2. Do you ever use your age as an excuse as to why you can’t do something big for God? How do you think God would respond to that? God can use you . . . no matter how young or old you are! Spend time today asking God to show you His plan for your life! The book of Lamentations is a lament – a book of sorrow and sadness reflecting on the captivity of the southern kingdom. Jeremiah, the prophet who warned the people the captivity was coming also wrote this book. In the middle of the book, however, is a reminder of God’s faithfulness. Let’s read those verses today. To Discuss: What gives Jeremiah hope? How can this give you hope, too? 1. God loves us SOOO much! Every morning, he has more and more love for us! Help your child make a sun craft to remind him of this. Cut a big circle out of yellow paper (or paint white paper yellow). Then cut several long rectangles out of yellow and orange paper to be the sun’s rays. Have your child write or draw one way that God shows His love to us on each ray of the sun. Then attach the rays to the circle. Write verses 22 & 23 on the circle. Hang the sun in your child’s room. 2. Jeremiah remembered God’s faithfulness and it gave him hope. What gives you hope? Write a letter to God, thanking Him for His faithfulness and mercy to you. The people had been warned, but they would not repent! Finally, God had enough, and the southern kingdom of Judah was conquered by “a lion from the north” – or the Babylonians. The Israelites were taken into captivity. Many of the teenagers were taken into a special program where their names were changed and they were indoctrinated in the ways of the Babylonians. This program lasted for 3 years, and then the graduates were given places to work in the kingdom. Daniel and his friends were among these teenagers. These four young men determined that they would serve the one true God no matter what, and, while their faith was put to the test, they always stood strong. Daniel stayed committed to God his entire life. He served several different kings of Babylon and was promoted to a high place of leadership. Not all the other leaders liked Daniel, however, and some of them devised a way to get rid of him. Let’s read about that today. To Discuss: What would you have been thinking if you were Daniel? What do you think it was like for Daniel when he was thrown in the lion’s den? What can you learn from the story of Daniel? 1. Act out this story with your child! Use paper plates to make lion masks. Then have one of you pretend to be the lions (make sure you are mean and loud!!!) and the other pretend to be Daniel. Have fun acting out the story and discussing the courage and faith of Daniel! 2. Make your own lion snack! Use cut-up bananas, oranges, and other items to make a lion’s face. Be creative! When you have the perfect lion, take a picture and then eat it up! Ezekiel lived at the same time as Daniel. Like Daniel, he was a displaced Jew who was now living in Babylon. Unlike Daniel, he did not live in the palace and serve the king. One day, God gave Ezekiel a vision and prophecy, which Ezekiel wrote down in the book of Ezekiel. Let’s read part of it today. To Discuss: Why did God have Ezekiel prophesy to a bunch of dried up bones? What did this represent? What was the promise God gave to the people of Israel through Ezekiel? God can bring new life to even things that are dead – like the bones in this passage! Make a skeleton craft using q-tips and black construction paper. Glue the q-tips on the paper to make the skeleton. Use white paper or chalk to make a head for the skeleton. Talk about what this passage means for us today. The time of captivity was coming to an end. A man named Zerubbabel was a leader among the Israelites and God had a message for him. He used a prophet named Haggai to deliver this message – a message that challenged Zerubbabel to rebuild the temple in Jerusalem. Let’s read some of that message today. To Discuss: What did God want Zerubbabel to do? Why was this important? How would you feel if you were given a task like Zerubbabel? 1. Zerubbabel was told to rebuild the temple of the Lord. Help your child “build” a temple today. Use blocks, legos, or boxes (or whatever you have on hand) and build a temple together. 2. The temple was important to worship in Old Testament times – it was considered the house of God. Today, however, there is a different “house of God”. What is it? (Hint: Read 1 Corinthians 6:19-20). How should we treat that temple? What are some ways that we can make sure we are treating God’s temple well? Make a list of ways you can care for God’s temple – your body. God also spoke to a man named Zechariah during this time, reminding the people of their past and sharing a message for the future. In this middle of these prophecies, God states again the importance of justice and compassion. Let’s read those verses today. To Discuss: What did God want the people to do? Did the people listen? What was the result? Do you think God still cares about the widow, orphan, stranger, and poor today? How does He want us to respond to these people? God loves all people – and He wants us to love and care for all people, too. Make a special gift for someone you know from one of these groups. Deliver that gift and do something nice for them while you are at their house, too! The Persian nation had conquered Babylon and the Jews in Babylon were in the process of being set free and rebuilding the temple when a young Jewish girl back in Persia found herself in a position of power that eventually led to her saving her people from destruction! Let’s read part of her story today. To Discuss: Why was Esther afraid to stand up for her people? What was Mordecai’s response to this? What do you think of Esther’s response in verse 16? 1. Make a king’s scepter out of paper towel tubes and whatever art supplies you have on hand. Talk about the danger Esther faced when she approached the king, but how she still did the right thing. Encourage your child to always do the right thing, too. 2. Mordecai challenged Esther that maybe she was queen for “such a time as this”. What does that phrase mean to you? Do you think God could have a special purpose in mind for you . . . do you have a “for such a time as this” moment? Make a poster out of those words (“for such a time as this”) to remind you to always seek to do what God has planned for you! The Persian empire is now in control of Babylon and God moves the king, a guy by the name of Cyrus, to let the Israelites go back to their original homes and rebuild the temple. Remember Zerubbabel? He is going to lead this project! Ezra is one of the prophets at this time, and he records what happens in his book, appropriately titled “Ezra”. To Discuss: What did the people do when the foundation for the temple was laid? Why were some praising and rejoicing while others were mourning? 1. When the foundation of the temple was laid, the people had a huge praise party! Have a praise party with your child today. Help him make some home-made instruments (you can even use pots and pans if you want) and have a parade through the house (or neighborhood) singing songs and shouting out praise to God! 2. Some of the people were praising God, and some were weeping. We should be free to express whatever emotion we have before God. What things make you rejoice? What things make you weep? Make a list and then pray about all of those things today. Nehemiah was cupbearer to the king of Persia. He was also a Jew and he had heard about what was happening back in Jerusalem – that the people were having great difficulty and the walls around the city were not being repaired. The king saw that Nehemiah was in great distress, and, after finding out why, the king gave Nehemiah permission and resources to rebuild the walls of Jerusalem! Let’s take a look at some of the words of Nehemiah. 1. The king gave Nehemiah special letters giving him permission to go back and rebuild his city. Have your child pretend to be a king. Give him some paper and stamps (if you have them) and have him write or draw a special letter like the king may have written for Nehemiah. Roll it up and seal it with a stamp. 2. Nehemiah faced opposition when he set out to rebuild the walls. Do you ever face opposition when you try to do something right? What can you learn from Nehemiah’s response to opposition? Write about a time when you faced opposition and how you handled it. We are now ready to read from the last book of the Old Testament – the book of Malachi. After the book of Malachi is written, God is silent. The next time He speaks, He will speak to a young Jewish girl, and it will be to announce that she is to be the mother of the Messiah – Jesus Christ! To Discuss: How did God say the people were robbing Him? God wants us to give our best to Him. Are you giving Him your best? 1. Help your child make his own treasure chest or piggy bank based on whatever materials you have on hand (you can even use a can or water bottle for this). Then encourage your child to fill it up with change until it is full. When it is full, take it to church and give it as an offering to God. 2. Are you giving a regular offering to God? Find a way to earn money – and then give part of that money (or all of it) to God as an offering. Hooray! We are now in the New Testament! Remember how I said that the next time God speaks, it will be to a young Jewish girl? Let’s read about that today. (NOTE: It’s been over 400 years since the book of Malachi was written). To Discuss: How do you think Joseph and Mary felt when they were told they were going to be the parents of God’s son? An angel appeared to Joseph in a dream. Make an angel craft today. Find some cool ones here. The first four books of the New Testament share what happened when Jesus was on earth. Today we are going to read from the book of Mark. To Discuss: How did the people treat Jesus when he came riding into town on a donkey? Why do you think they shouted these things out to him? The people laid down palm branches in front of Jesus to praise him as he came riding into town. Make your own palm branches today out of construction paper (or whatever else you have on hand). Write words to describe what you praise Jesus for on each of the palm branches. The book of Luke was written by a Doctor who researched the life of Jesus and wrote his book based on his findings. Let’s read what he reported about the death of Jesus. To Discuss: What happened to Jesus in these verses? Why did Jesus have to die? Make a cross snack craft today. Frost a graham cracker with white frosting. Then use sliced grapes to make a cross and background on the graham crackers. John was written by one of the disciples of Jesus. He also wrote the books of 1, 2, & 3 John and Revelation. We will read about the resurrection of Jesus from John’s book today. To Discuss: Discuss the different emotions that Mary felt in this chapter. What about the rest of the followers of Jesus? How would you have felt? The tomb was empty because Jesus had risen and the tomb is still empty today! Make an empty tomb cresent roll. Dr. Luke also wrote the book of Acts. In the book of Acts, Luke writes about the beginning of the church. This also has the story of the conversion of Saul – a man who started off persecuting (even killing) Christians, but would become a great leader in the early church. But Luke begins his book with Jesus going back into heaven. Let’s read about that today. To Discuss: What command did Jesus give the disciples? How does this command apply to you today? 1. Help your child draw a picture of Jesus going into heaven. Give him cotton balls and have him glue those down on the paper to be clouds. Then have him draw a picture of Jesus going up into the clouds. Talk about how Jesus will one day come back down to earth to get us and take us to heaven! 2. Rewrite verse 8 using places that are familiar to you. What would be your Jerusalem, Judea, and Samaria? Once you have it rewritten, make a poster of it and hang it in your room. Pray each day for opportunities to be Jesus’s witnesses in each of these places. Romans was a letter written by Paul to the church in Rome. Let’s read some of what he says. To Discuss: What promises speak to you the most in these verses? 1. NOTHING will separate us from the love of God! Play a game of hide and seek with your child. Each time you find your child, say, “Can you hide from God’s love?” NO! 2. Choose your favorite verse(s) from this passage. Draw a picture illustrating that verse. Show it to the other members of your family and see if they can figure out which verse you are illustrating. Paul also wrote 1 & 2 Corinthians. These books were written to the church in Corinth. To Discuss: What is the promise in these verses? How does it make you feel to know that we have victory over death through Jesus Christ? 1. Act out these verses with your child. Have him lie down on the floor and pretend to be “dead” (you might even want to cover him with a blanket as if you are burying him). Then blow a horn (it can be a pretend horn) and have him jump up. See how fast he can do this. Talk about how some day all of us who love Jesus will be with him in heaven. Help your child draw pictures of what he thinks heaven will be like. 2. Some day we will all be changed. We will have a new and perfect body that will never get sick or hurt! What do you think this new body will be like? Write or draw something to represent what you think it will be like when we are all changed. Let’s look at a section of 2 Corinthians today. To Discuss: What do you think the “thorn in the flesh” was? How did it impact Paul? What did he learn as a result? 1. Talk to your child about things that bother him that he wishes would change. Talk about how, sometimes, these things don’t go away easily . . . or even at all. We need to learn to praise God, even when there are tough things that won’t go away. Plant a rose to show that something beautiful can come – even in the midst of the thorns! 2. Decorate a flower pot with words and designs from these verses. Then plant a rose to remind you that something beautiful can grow even in the midst of the thorns! Paul wrote the letter of Galatians to the church at Galatia. Let’s read what he said to them as he closed the letter. To Discuss: How do you bear one another’s burdens? What does it mean that a man reaps what he sows? How can you do good to all people? Plant a garden . . . or visit a garden and pick your own fruit. Talk about the process of growing a garden and how this relates to the Christian life. If you are able to pick fruit, bring it home and make something tasty out of it . . . and then talk about how you want to make sure the fruit in your life is good and tasty, too. The book of Ephesians was written by Paul to the church at Ephesus. Today we will read a very famous portion of this book about putting on the armor of God. To Discuss: What is our fight really against? What does this mean? What is the armor of God and how does it help us in this fight? 1. What are some things we can do to make us strong? We can exercise! Do some fun exercises with your child. Then say: Just like exercise makes our body strong, there are some things that can make us strong in the Lord. Do you know what they are? 2. Make an armor of God craft. 3. Make your own “shield of faith”. Draw pictures of examples of when people have shown great faith . . . including you! The next book in the Bible is Philippians. Paul wrote this letter when he was in prison! This letter is all about attitude . . . our attitude should be just like Jesus’s was! To Discuss: How should we live our lives according to this chapter? What verse sticks out to you the most in this chapter? Why? 1. Talk to your child about how our real home is in heaven. We are just living here on earth for a short time! When someone visits a country that is not their own, he needs a passport! Help your child make a “passport”. Take his picture and glue it on a small piece of paper. Write on it that his citizenship is in heaven and have him decorate the inside with pictures of his true home . . . heaven! 2. According to these verses, everything should be like GARBAGE compared to knowing Jesus! Think about all your great accomplishments up to this point. Write down all the things you are proud of and the things that you own on a piece of paper. Then crumble that paper up and throw it in the garbage! The only thing that really matters in life is JESUS! The next book of the Bible is Colossians. This book was also written by Paul. To Discuss: How are we supposed to do all things? Will keeping this in mind change the way you do your daily activities? How? 1. Talk to your child about the jobs he does each day. Say: Every time you do something, remember, you are doing it for Jesus – even those jobs you don’t like! Have him draw a picture of himself on a piece of white paper. Then help him make a “broom” out of construction paper. On the broom, have him draw or write different things he does each day. Glue the broom on the paper and write Colossians 3:17 at the top of the paper. 2. How do you set your mind on things above? Draw a picture of yourself from the neck up. Make a speech bubble and write different ways that you can keep your mind focused on things above inside of this speech bubble. Pray, asking God to help you keep focused on Him. Another letter from Paul was 1 Thessalonians. To Discuss: What is the promise found in these verses? How does this promise make you feel? 1. Go outside and look at the clouds. Have fun pointing out the different shapes that you see in the clouds. Then talk to your child about how, someday, Jesus will come back and everyone who believes in Him will go up to heaven. Do you think we will go up riding on the clouds? 2. Make cloud dough. Use 1 cup of baby oil and 8 cups of flour mixed together. Talk about what it will be like to be taken “up in the clouds” to be with Jesus! To Discuss: What would you consider the main theme of these verses? Have you ever spent time praying for people who are telling others about Jesus? Why don’t you do that today? 1. In the first verse of this chapter, Paul asks the people to pray for him as he serves Jesus. We should also pray for our ministers and missionaries. Help your child make a card for a Christian leader you know. Send it to that leader . . . and then spend time praying for him. 2. Memorize verse 13. Make a poster or some other representation of this verse and place it somewhere to remind you to live by it each day. Paul wrote 1 & 2 Timothy to a young leader in the church named Timothy. He had a lot of great advice for Timothy, and we get to read it in these books. Check them out! To Discuss: Does verse 7 remind you of anything (think Job . . . )? What are some ways where you can see verse 9-10 at work in our world today? How can you guard yourself against this? 1. Help your child make his own play money. Spend time playing “store” with it. Then talk about how it is important that we not love money more than God! Have him turn his play money over and draw pictures of things he has that he is thankful for or ways that he can praise God on the back of each piece of money. 2. Play a game of Monopoly. Discuss ways that you can keep money in its right place. We will start this week on the second letter Paul wrote to Timothy. To Discuss: How can you see these verses happening in today’s world? How do Paul’s words in verses 6 & 7 encourage you? 1. Paul talked about the reward he was going to get in the future. Talk with your child about rewards. Has he ever gotten an award for something? Help your child design an award (like a ribbon) that might be something a person who has “fought the good fight” and “finished the race” would receive. 2. Speaking the truth in the last days will be hard, but we still must do it! We must always be ready to speak the truth . . . we must fulfill our ministry! Practice “speaking the truth” today. Choose a topic that people don’t want to hear the truth about and research what the Bible says about that topic. 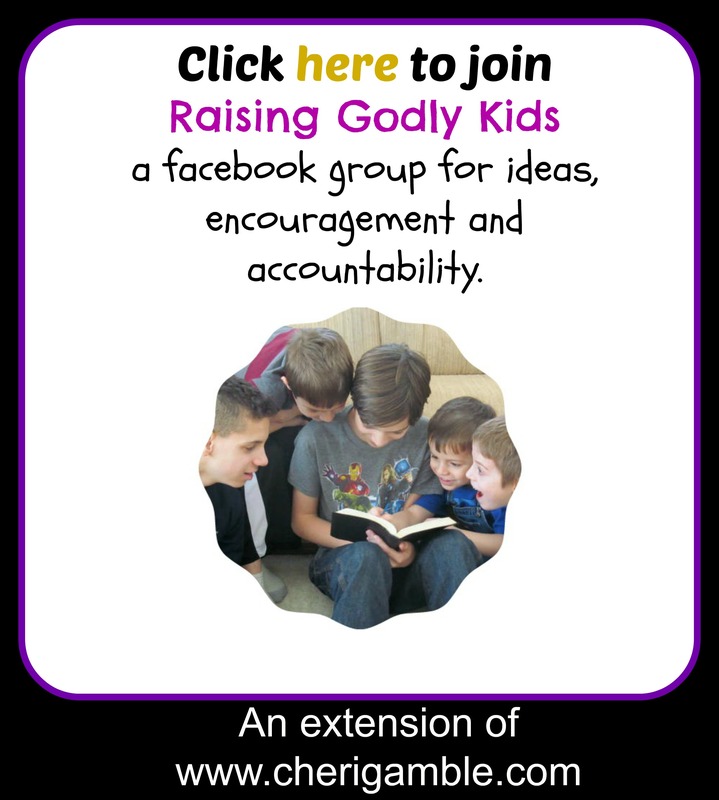 Practice sharing the biblical truths on that topic with the other members of your family. Doing this will help you be prepared – in season and out of season! Today we will move on to one of Paul’s shorter letters – the book of Titus. To Discuss: How does the kindness of God change us? Has His kindness changed you? 1. We cannot save ourselves – we are saved through Jesus! Cut a heart shape out of a piece of paper. Talk to your child about the fact that we all do things that are wrong – we all sin. Have your child draw or write different things he has done that are wrong on the heart. Say: Look at all the things that we’ve done that are wrong! Aren’t you glad that Jesus forgives us and saves us! He makes it so that we don’t see those bad things any more! Cut another heart out (the same shape as before) and glue it over top of the other one. Jesus takes our sin away! 2. How can you be ready for every good deed? Think of some good deeds you can do for others. Make a list and then choose one and do it! There was once a slave named Onesimus. This slave ran away from his master (who was a Christian). When he was away from his master, he met Paul, and Paul introduced him to Jesus Christ. After he became a Christian, he knew he had to go back to his master. Paul wrote a letter to his master and sent it back with him. His master’s name was Philemon and the book of Philemon is Paul’s letter to him concerning his runaway slave. Let’s read through it today. To Discuss: Talk about how Onesimus’s life changed. How did God use the situation in his life to bring about change? Can you think of any situation in your life that God has used to bring about change? Paul said that he thanks God for Philemon. Are there people that you are thankful for? Make a list of the people in your life that you are thankful for. Choose one or two to send a nice letter or card (or a picture that you draw). Pray for these people. We are not sure who wrote the book of Hebrews. It is a longer book that is written to the Jews. Let’s read a few verses out of it today. To Discuss: What is that great cloud of witness talked about in verse 1? (You might want to read through Hebrews 11 to get an idea of some of the people who make up that group). Why is it important to fix your eyes on Jesus? 1. Talk with your child about how living life is like running a race and we need to be faithful all the way through to the finish. Set up an obstacle course in your house (or outside) and have your child run through it. Cheer him on the whole time! Relate this to today’s reading. 2. Train to run a road race – and then do it! Keep your eyes on the finish line!!! The book of James was written by one of Jesus’s brothers – a man by the name of James. Can you imagine being the younger brother of Jesus? We know from the gospels that Jesus’s brothers didn’t always believe in him – but James came to have faith in Jesus, became a leader in the church, and was eventually killed for his faith. Let’s take a look at some of his words today. To Discuss: Does your tongue ever get you in trouble? 2. What kind of damage can fire do? How is the tongue like that? Use pretzels and cheese to make a “fire”. Eat the fire while talking about ways you can use your tongue for good and not evil. Do you know who Peter was? He was one of the disciples of Jesus. He was pretty outspoken as a disciple, and he became a strong leader in the church. He also wrote the books of 1 & 2 Peter. To Discuss: What are the main themes in these verses? What stands out to you the most? 1. Jesus took our sins on him when he died on the cross! Help your child make a torn paper cross craft. Cut out the shape of a cross for him. Then give him several colors of construction paper (or tissue paper). Have him rip the paper up into tiny pieces and glue them on the cross. 2. According to these verses, we are to honor our leaders. How do we honor those in authority over us? Pick a government leader, write him an encouraging letter, and then spend time praying for him. Today we will continue on in Peter’s writings. To Discuss: What is going to happen in the last days? How is Jesus going to return? Why has Jesus waited so long to return? What should you do as you wait for Jesus to return? 1. Just like we grow physically, we need to also grow spiritually! Look at some old pictures of your child with him. Talk about the ways he has grown. Then talk about how he can grow closer to Jesus, too. Sing the song “Read your Bible pray every day” with him. 2. Read “The Final Battle”, book 7 of the Chronicles of Narnia by C.S. Lewis. How does this book reflect the verses you read today? Now we are back to some books written by John, the disciple whom Jesus loved. Love is the theme of these books, too. Take a look. To Discuss: How does keeping God’s commandments show that we love Him? How should we treat others? 1. Play a game of Simon Says with your child. Remember, always do what “Simon Says” to do! When you finish, talk about how we should always do what God tells us to do. How do we know what God tells us to do? By reading the Bible! 2. Close your eyes and try to walk around your house. Are you very successful? Why not? John is telling us in these verses that if we don’t love people, it is like we are stumbling around in the darkness . . . we will not be very successful at getting anywhere! Is there anyone you are having a hard time loving? Pray for that person today! And now on to 2 John . . .
To Discuss: What is the commandment we had from the beginning? 1. Trace your child’s foot on a piece of paper. Help him cut out the foot. Then have him draw or write ways that he can follow God’s commandments inside the foot. If you have more than one child, hang all the feet up on a wall as if they were walking in a path. Pray together, asking God to help you all walk in His ways. 2. How do we show that we love God? We walk according to His commandments! How do we know His commandments? We read the Bible! You have done a great job reading the Bible through this reading plan . . . make plans now for how you are going to keep reading the Bible after you are finished with this plan. And 3 John . . .
To Discuss: What should you imitate? How can you do this? 1. Play a “mirror” game with your child. Stand in front of your child, and your child has to imitate everything you do . . . doing exactly what you do and how you do it. (Older children would have fun and a bit more of a challenge if you have them “mirror” what you do . . . they have to do it as if they are a mirror image of you). Talk about what it means to imitate what is good. 2. Write the words “imitate what is good” on an index card and tape it to your mirror. Remind yourself of that every time you look into the mirror. Jude was another one of Jesus’s brothers. He also came to believe in Jesus, and he wrote the book of Jude. To Discuss: How are you to behave in these last days? 1. Make heart shaped cookies with your child today to remind him to live in the love of God! 2. These verses say to build yourselves up in faith. Play a game of Jenga . . . stacking the blocks carefully. When the blocks fall over, discuss some of the things that make people fall away from the faith. How can you make sure you don’t fall? This is so exciting! We have finally reached the last book of the Bible! This book was written by John. He was sent off to an island for his belief in Jesus, and, while on that island, he had a vision of the end of time and of heaven! Let’s end our reading plan by reading from the very last chapter of the very last book of the Bible! To Discuss: How many times does Jesus say he is coming quickly? Why hasn’t he come yet? (remember what we’ve read earlier!) How do you feel when you think about his coming? 2. These verses refer to the “water of life” that is available to all who are thirsty. What do you think this means? Drink some nice, refreshing water today (or have extra fun and make a smoothie). Discuss this chapter while you are drinking the smoothie! Congratulations on finishing this Bible Reading Plan!! Find other Bible Reading Plans here.